So we have come full circle and if the record opened with what was almost medieval music, then with the Brazilian pieces we stepped with one foot into folk music and our last step will be into the distant past. 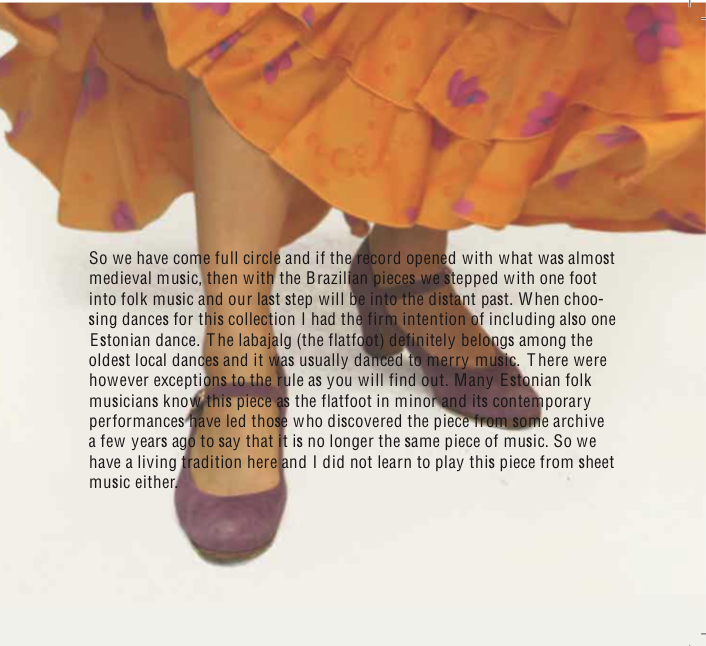 When choosing dances for this collection I had the firm intention of including also one Estonian dance. The labajalg (the flatfoot) definitely belongs among the oldest local dances and it was usually danced to merry music. There were however exceptions to the rule as you will find out. 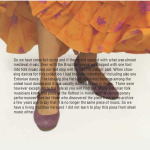 Many Estonian folk musicians know this piece as the flatfoot in minor and its contemporary performances have led those who discovered the piece from some archive a few years ago to say that it is no longer the same piece of music. So we have a living tradition here and I did not learn to play this piece from sheet music either.